28 HDR images for the visualization of vehicles. 16 backplate sets, including the respective HDRIs. 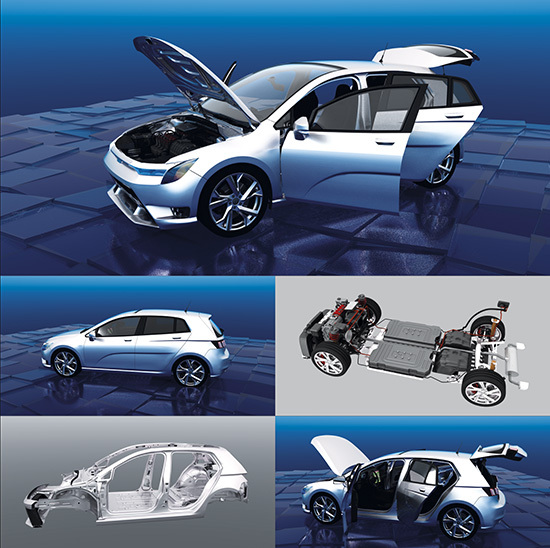 This product DOSCH 3D: Car Details - Compact Hybrid Car contains a 3D-model with all critical parts and systems found in an hybrid car. It is ideal for depictions of driving-related processes, interior and safety functions, as well as a multitude of technical details. Use the 3D-model for technical visualizations, animations or illustrations. The completely textured 3D-models are provided in multiple file formats: 3DS, 3dsmax (version 9 and above), 3dsmax V9 & VRay, 3dsmax V9 & Mental Ray, Lightwave (version 6 and above), FBX, Universal 3D, OBJ, Artlantis, Modo, VRML, Collada, Cinema 4D version 13 and above, DWG, Maya, Cinema 4D + vRay..